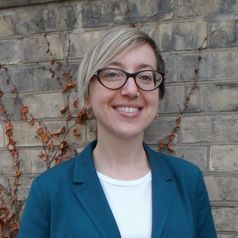 Alisa Grigorovich is a postdoctoral fellow in the Dalla Lana School of Public Health at the University of Toronto. In her research she uses critical theories and qualitative and mixed methods to capture how political, economic and cultural systems and processes intersect to shape the lived experiences of diverse care-receivers and care-givers within health systems. She also uses these theories and methods to examine and to challenge taken-for-granted assumptions about aging, sexuality and gender that are embedded in cultural representations, social policies, philosophies and care practices. Broadly her research interests include: politics of care; health equity; public policy and ethics; cultural imaginaries of sexuality and gender; critical social science.